The SMi Group is proud to announce the 4th annual Defence Logistics Central and Eastern Europe conference, to be held in Prague from the 5th – 6th March 2019. As military operational tempos increase and Armies face new deployment commitments across Europe, defence logistics have never been more important as now. Armed Forces must learn to work with one another and engage in joint logistics operations, and with industry to find new innovative ways to increase reliability and reduce costs in logistics. Ultimately, as logistic capacity underpins the ability for militaries to deploy and sustain forces, logistics must be considered as a capability in its own right, providing a genuine operational advantage and increasing operational effectiveness. Join us as we bring together the key military logisticians from across the Central and Eastern European region and beyond, to discuss new trends and crucial developments in Defence Logistics, and learn how modern Armed Forces are increasingly pursuing improved logistic capacity. How is the MCCE tackling the bespoke challenges of the member nation’s requests? Assessing current trends in logistical support and operations. New approaches and tools for Logistics Analysis. View details 24 Hour Meals ENERGIZES YOUR CHALLENGE Sponsors and Exhibitors http://www.24hmeal.se/sv/ 24 Hour Meals is a supplier of combat rations that is based in the city of Varberg, Sweden. We are a long term supplier of combat rations for the Swedish Armed Forces and have delivered to several armed forces within the NATO. Our standard range includes 1-meal, 3-meals and 4-meals rations divided into two segments, the Special purpose ration for cold weather and the General purpose individual ration. All our combat rations meet the requirements of the individual operational rations for military use according to STANAG 2937. Our products are developed with the soldier in mind. The products taste good and are easy to carry and eat in a combat zone. We frequently visit our military customers to get feedback on current assortment and proposals for development. On request, we can tailor the combat rations to meet your needs. BR-ICS was founded in June 2015 and our first customers was the Rail vehicle manufacturing industry. We made for that customer the homologation process of locomotives in southeast European countries and Turkey and at the end of that processes we got the licenses of the locomotives in each country. It was summer 2016 when the US Army asked me in the matter of loading and load securing for railroad transports in Europe. I received the information that the US Army is coming to Europe with a lot of military equipment and that they have no experience whatsoever with loading and load securing on railway wagons in Europe. The guy who ask me that question was a guy who was involved in the deployment and re-deployment during the war in Bosnian Herzegovina in the 1996. We met each other on that time and we worked successful together over 18 months. BR-ICS got the first order for loading, blocking and bracing of military equipment for railroad transports in December 2016 and we started our activities in January 2017 in Bergen-Hohne (Germany). During that time we got the second order in Poland and since that time we loaded, secured and unloaded more that 600 trains for the armed forces in several countries in Europe. The Bullet ID system is an advanced, all encompassing inventory management and accountability system which tracks ammunition. Bullet ID utilizes specialized laser technology to place a unique bar code onto each brass cartridge of the bullet as well as the packaging in which the ammunition is contained in. The identifying code marking is scanned onto a proprietary, blockchain-based tracking system. The code can be scanned on site by permitted subscribers using the Bullet ID smartphone scanning app, to record any issuance, use, transfer or destruction of the bullet. The software also allows customers to see in real time, their full deployment of ammunition resources throughout their entire agency. Bullet ID systems can be easily integrated with existing manufacturing lines or used as a stand-alone system to mark ammunition post production. View details Crowley Sponsors and Exhibitors http://www.crowley.com Crowley Maritime Corporation, a U.S.-owned and operated marine solutions, transportation and logistics company, is one of the most diversified transportation companies in the world with a team of industry-savvy, seasoned logistics and global freight management professionals that can exponentially expand and simplify a customer’s supply chain, both tactically and functionally. With a fundamental understanding that supply chains continue to operate within an increasingly complex and dynamic set of variables, Crowley is positioned as a worldwide partner offering, flexible, scalable, and agile logistics solutions. Crowley can seamlessly handle most any logistics requirement by offering services that it has spent over 126 years perfecting. As a full-service logistics provider of trucking, air, and ocean transportation and related global freight forwarding services, we continue our proud tradition of serving the U.S. Department of Defense, Homeland Security, and other government agencies with a portfolio of commercial services adapted to meet their missions. View details Ecolog Sponsors and Exhibitors http://www.ecolog-international.com Ecolog is an international provider of supply chain, construction, technology, facility management and environmental services. We provide turnkey and customized solutions to governments and defense, humanitarian organizations and commercial clients in the sectors of Oil & Gas, Mining, Energy and Infrastructure projects. Headquartered in Dubai, UAE we are active in 36 countries and in a wide range of environments, including some of the world’s most challenging areas. From beyond the Arctic Circle to the scorching deserts, the rugged terrain of Afghanistan and Africa, we have a proven track record of responsibly and efficiently enhancing the life of hundreds of thousands of people through our service solutions. By combining our technical and management capabilities with the focus of an independent private company, we believe we can unlock the potential for all our customers by helping them to focus on their mission and core competencies, while Ecolog takes care of the rest. View details HIAB Limited Sponsors and Exhibitors http://www.hiab.com/ HIAB is the world’s leading provider of on-road load handling equipment. Our product range includes HIAB loader cranes, MULTILIFT demountables, MOFFETT truck mounted forklfts, JONSERED recycling and forestry cranes and LOGLIFT forestry cranes. HIAB products maximise the functionality of every military vehicle within the logistic fleet, offering savings in cost, time and manpower. Support is available in most parts of the world throughout a product's full service-life. From the early stages of design, whole life costs are considered, to ensure Hiab customers receive a life-long cost-effective solution. View details International SOS Sponsors and Exhibitors http://www.internationalsos.com International SOS is the world’s leading medical and travel security risk services company. We have been providing our clients with an unrivalled service, supported by invaluable local knowledge on a global scale, for 33 years. With pioneering preventative programmes strengthened by local expertise, we deliver emergency assistance during critical illness, accident or civil unrest. We care for clients globally from more than 1,000 locations in 90 countries. Our network includes 900 remote sites, 67 clinics, and 77,000 accredited providers. We also maintain a global supply network together with an end to end logistics capability to provide cost effective and fast solutions to clients’ needs for pharmaceuticals, medical equipment, and medical consumables including in remote and high risk areas. Our 10,500 employees including 5,600 medical professionals, and 26 Assistance Centres speaking over 90 languages, respond annually to 4.5 M assistance calls, 1.2M medical assistance cases and 14,000 medical evacuation and repatriation cases. Working with us, multinational corporate clients, governments, militaries and NGOs can mitigate the risks for their people working remotely or overseas. View details KH, Inc Sponsors and Exhibitors http://www.khinc.com KH, Inc. - Offers Aviation and Marine fuel procurement and logistic solutions for Military and Government operators including contract fuel management, open market procurement, and payment solutions. KHI is the exclusive contractor of the U.S. Government AIR Card® and SEA Card® programs. 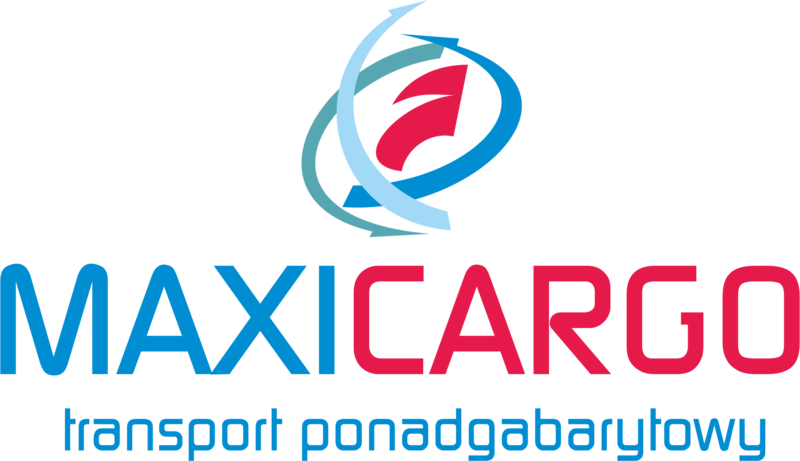 MAXI-CARGO is a professional Polish logistics service company founded in JAN 2007. We specialize in heavy, oversized, and irregular military freight transports across EU countries. Our knowledge and experience allow us to organize transports and logistics processes at the highest level. Wherever we operate, we are known as an honest and reliable company. As a result of our long-standing experience with the U.S. Army EUCOM, Polish Armed Forces, and Canadian Military Forces, and continuous aspiration to gain better results, we created the high qualified fleet and formed professional, well-educated, and organized staff in support of Military operations within Europe. In may 2018 we signed General Contract with U.S. Army EUCOM, and we are just about to finish frame contract with Polish Army which allows us to offer our transportation services to other military organization such as MCCE. View details THIELMANN WEW Sponsors and Exhibitors https://thielmann.com/ THIELMANN WEW is a world leader in containerised fuel and water systems for the military and civil defence markets. Ranging in size from 200L to 50,000L, THIELMANN WEW pressure vessels are approved to transport and store fuel and water across air, land and sea logistics chains worldwide. THIELMANN WEW’s ISO-based solutions are compatible with US and European palletised load-handling systems and can be transported on 6×6, 8×8, 10×10 logistics vehicles. Low-profile solutions for 4×4 vehicles are also available. The THIELMANN WEW advantage lies in the company’s engineering excellence. All our container systems are built to meet specific customer requirements, and can be 100% tailored to meet operational envelopes. In addition to building tanks to the highest standards, THIELMANN WEW specialises in complex pumping and preservation for water supply and refuelling of land and rotary / fixed-wing assets. THIELMANN WEW supports these systems through their entire lifecycle (25 years or more), supporting, repairing and maintaining equipment as needed. View details Western Global Sponsors and Exhibitors https://western-global.com/ In 1962, Western Global was established as a family business in Stoke Gifford, United Kingdom as a tank fitting outfit. From its humble beginnings, Western expanded from the UK into European and North American markets. In 2014, Western acquired the business and assets of TransTank Pty Ltd, bolstering its containerized tank capability and expanding its footprint into Australia and South Africa, making Western a truly global organization. As a leading provider of portable tanks and dispensing equipment for the storage and handling of fuels, lubricants and other fluids, Western Global is able to supply safe, reliable and cost-effective turnkey refuelling solutions globally regardless of the application. View details World Fuel Services Sponsors and Exhibitors http://www.wfscorp.com As a leading fuel solutions and logistics provider for industries, militaries and governments around the globe, World Fuel Services (A Fortune 100 Company – NYSE INT: 93) delivers integrated fuel solutions to customers in the marine, land, and aviation segments. With expertise in: fuel supply, logistics, operations, technology, and finance, we provide end-to-end support so that our customers can focus on their core business. Additionally, through a careful programme of growth and acquisition we have developed the company to suit particular markets, importantly retaining the local feel within that market and yet bringing the strength and stability of a truly global company. We operate in more than 3,000 airports, 1,200 sea ports and 1,000 fuel stations and depots in 200 countries and territories – with one million barrels of liquid products supplied every day and two million financial transactions processed every year, amounting to a strong balance sheet of $33 billion in 2017. Highly successful in the traditional market space, World Fuel Services are considered the experts when it comes to operating in challenging environments, be that in support of military operations, such as our comprehensive service provision in Afghanistan, or mining and industrial operations in hot and cold inhospitable parts of the world. In the volatile energy market, when fuel quality and surety of supply are key to the success of your business or operations, World Fuel Services is the strong, trusted partner that you need. View details Air Forces Monthly Supporting Media Partners http://www.airforcesmonthly.com AirForces Monthly magazine is devoted to modern military aircraft and their air arms, it provides the best military aviation news coverage from its global network of correspondents and is essential reading for anyone seeking a well-informed view. AirForces Monthly has built up a formidable reputation worldwide by reporting from places not generally covered by other military magazines. View details Air International Supporting Media Partners http://www.airinternational.com Over the years, AIR International has established an unrivalled reputation for authoritative reporting and coverage across the full spectrum of aviation subjects. With more pages than ever, all still dedicated to commercial and military aviation, we have more correspondents and top aviation writers from around the world, offering even more exciting news, features and stunning photography. View details Airforce Technologies Supporting Media Partners http://www.Airforce-technology.com Used daily as means of creating partnerships and as a point of reference by professionals within the air force industry, this comprehensive resource supplies the latest news releases, detailed information on industry projects, white papers, event information and a thorough breakdown of products and services. View details Aviation News Supporting Media Partners http://www.aviation-news.co.uk/ As Britain’s longest established monthly aviation journal, Aviation News is renowned for providing the best coverage of every branch of aviation. Now incorporating Classic Aircraft, each issue features the latest news and in-depth features, plus firsthand accounts from pilots putting you in the cockpit. Covering both modern military and civil aircraft, as well as classic types from yesteryear, it features subjects from World War Two, through the Cold War years to present day. Aviation News brings you the past, present and future of flight. View details Blog Before Flight Supporting Media Partners http://www.blogbeforeflight.net/ Blog Before Flight is an online news and information website related to the aviation and aerospace industries. It offers daily news about new products, future projects, military exercises and operations, airshow info and reportages made in close contact with the international armed forces. Blog Before Flight combines technical concepts with a common language to reach everyone wants to know more about aviation. View details Cargo Connections Supporting Media Partners http://www.cargoconnections.net Cargo Connections was formed in the summer of 2014 and offers Restricted Representation, which means membership will only be offered to a limited number of freight forwarders who offer air, sea and road freight services per country. With a cutting-edge website, Cargo Connections offers innovative membership benefits including a useful Smartphone Service. View details Combat Aircraft magazine Supporting Media Partners http://www.combataircraft.net With in-depth editorial coverage alongside the finest imagery from the world’s foremost aviation photographers, Combat Aircraft is America’s best-selling military aviation magazine. With thought-provoking opinion pieces, detailed information and rare archive imagery, Combat Aircraft is your one-stop-source of military aviation news and features from across the globe. Visit www.combataircraft.net for more information. View details Defence Suppliers Supporting Media Partners http://www.defence-suppliers.com Defence-Suppliers provides a unique platform to present your latest equipment and systems to the world's defence and security industry. We are a key information resource for MODs, DODs, decision makers, governments, prime contractors, service chiefs, defence ministers, police forces and system integrators. Delivering a comprehensive breakdown of products and services from leading industry contractors, with up-to-date news and press releases when developments occur. With links to all the major industry events, the portal provides an opportunity for visitors to develop international relationships and generate new business opportunities. View details Defense Conference Supporting Media Partners http://www.marketanalysis.com MarketAnalisis.com is a publication of Market Research Media. Market Research Media Ltd, a leading market research firm, provides comprehensive market research reports and forecasts to assist governmental and corporate decision makers understand the dynamics of world’s technology markets. Fortune 500 companies, US Congress and EU government bodies rely on our strategic insights. View details Edumaritime Supporting Media Partners https://www.edumaritime.net/ EduMaritime is a maritime and logistics education, training, Internship, Career, News & Job resources portal. It provides the most valuable and accurate information and tools in maritime, logistics & supply-chain management, merchant marine, marine engineering, naval architecture, shipping management, ship broking, sailing, and other related areas worldwide including the Americas, Europe, Asia and Australia. View details Epicos Supporting Media Partners http://www.Epicos.com Epicos is a global, multifaceted portal providing Aerospace and Defense industries around the world with business intelligence and active support to access opportunities on international procurements, industrial cooperation and offsets. Epicos has carried out extensive industry analysis and mapping of capabilities of A&D Industries and offers this knowledge to its members helping them to identify business opportunities and to build strategic alliances. Additionally, Epicos supports the global A&D industry through a wide range of on-line services and products including but not limited to: a large online procurement database, an updated Business Directory, an e-library with extensive information regarding procurement and offsets processes systems and an up to the minute news database. View details Freightbook Supporting Media Partners http://www.freightbook.net Freightbook is a fast growing online searchable database containing profiles of 1000+ freight forwarders in 140+ countries. Each company can provide comprehensive logistics solutions through their experienced staff who have an in-depth understanding of their local market. To obtain rates and advice on a shipment, please complete our Get A Quote form. Our simple but effective system enables you to obtain advice and pricing from all registered freight agents in the country of origin, thus providing a variety of options. View details Naval Technology Supporting Media Partners http://www.naval-technology.com Naval-technology.com brings you up-to-date international news and features on technology in the defence industry, covering projects, trends, products, services and more in the naval sector. With a team of journalists situated around the world, naval-technology.com, along with sister sites www.army-technology.com and www.airforce-technology.com, is the only business service that focuses on the technologies required by military personnel and companies working in this important space. This is combined with one of the most comprehensive and detailed listings of naval equipment suppliers and their products, free white paper downloads and company press releases, making naval-technology.com the key point of reference for the naval sector. View details Project Cargo Network Supporting Media Partners http://www.projectcargonetwork.com Project Cargo Network (PCN) was formed in August 2010, as an organisation dedicated to the world's top project cargo and heavy lift specialists who want to increase their business by either referring one another or doing business directly with one another. The network is now an ISO 9001 and ISO 14001 certified association with over 235 Members located in 105+ countries. View details SupplyChainBrain Supporting Media Partners http://www.supplychainbrain.com SupplyChainBrain, the world’s most comprehensive supply chain management information resource, is accessed year round through a wide range of ever evolving multi-media formats by hundreds of thousands of senior level industry executives. In addition to addressing the fundamental principles of supply-chain management, SupplyChainBrain identifies emerging trends, technologies and best practices, forward thinking ideas and cutting-edge solutions-and continues to write and report about these as they evolve and mature. View details Universal Freight Organisation Supporting Media Partners http://www.ufofreight.com Universal Freight Organisation (UFO) was formed in January 2000 and today the ISO 9001 and ISO 14001 certified association boasts representation in 120+ countries. UFO are proud to have maintained a ‘One Member per Country’ policy (with the exception of USA and China), making them one of the only remaining exclusive freight forwarder networks in the world. 24 Hour Meals is a supplier of combat rations that is based in the city of Varberg, Sweden. We are a long term supplier of combat rations for the Swedish Armed Forces and have delivered to several armed forces within the NATO. Our standard range includes 1-meal, 3-meals and 4-meals rations divided into two segments, the Special purpose ration for cold weather and the General purpose individual ration. All our combat rations meet the requirements of the individual operational rations for military use according to STANAG 2937. Our products are developed with the soldier in mind. The products taste good and are easy to carry and eat in a combat zone. We frequently visit our military customers to get feedback on current assortment and proposals for development. On request, we can tailor the combat rations to meet your needs. Crowley Maritime Corporation, a U.S.-owned and operated marine solutions, transportation and logistics company, is one of the most diversified transportation companies in the world with a team of industry-savvy, seasoned logistics and global freight management professionals that can exponentially expand and simplify a customer’s supply chain, both tactically and functionally. With a fundamental understanding that supply chains continue to operate within an increasingly complex and dynamic set of variables, Crowley is positioned as a worldwide partner offering, flexible, scalable, and agile logistics solutions. Crowley can seamlessly handle most any logistics requirement by offering services that it has spent over 126 years perfecting. As a full-service logistics provider of trucking, air, and ocean transportation and related global freight forwarding services, we continue our proud tradition of serving the U.S. Department of Defense, Homeland Security, and other government agencies with a portfolio of commercial services adapted to meet their missions. Ecolog is an international provider of supply chain, construction, technology, facility management and environmental services. We provide turnkey and customized solutions to governments and defense, humanitarian organizations and commercial clients in the sectors of Oil & Gas, Mining, Energy and Infrastructure projects. Headquartered in Dubai, UAE we are active in 36 countries and in a wide range of environments, including some of the world’s most challenging areas. From beyond the Arctic Circle to the scorching deserts, the rugged terrain of Afghanistan and Africa, we have a proven track record of responsibly and efficiently enhancing the life of hundreds of thousands of people through our service solutions. By combining our technical and management capabilities with the focus of an independent private company, we believe we can unlock the potential for all our customers by helping them to focus on their mission and core competencies, while Ecolog takes care of the rest. HIAB is the world’s leading provider of on-road load handling equipment. Our product range includes HIAB loader cranes, MULTILIFT demountables, MOFFETT truck mounted forklfts, JONSERED recycling and forestry cranes and LOGLIFT forestry cranes. HIAB products maximise the functionality of every military vehicle within the logistic fleet, offering savings in cost, time and manpower. Support is available in most parts of the world throughout a product's full service-life. From the early stages of design, whole life costs are considered, to ensure Hiab customers receive a life-long cost-effective solution. International SOS is the world’s leading medical and travel security risk services company. We have been providing our clients with an unrivalled service, supported by invaluable local knowledge on a global scale, for 33 years. With pioneering preventative programmes strengthened by local expertise, we deliver emergency assistance during critical illness, accident or civil unrest. We care for clients globally from more than 1,000 locations in 90 countries. Our network includes 900 remote sites, 67 clinics, and 77,000 accredited providers. We also maintain a global supply network together with an end to end logistics capability to provide cost effective and fast solutions to clients’ needs for pharmaceuticals, medical equipment, and medical consumables including in remote and high risk areas. Our 10,500 employees including 5,600 medical professionals, and 26 Assistance Centres speaking over 90 languages, respond annually to 4.5 M assistance calls, 1.2M medical assistance cases and 14,000 medical evacuation and repatriation cases. Working with us, multinational corporate clients, governments, militaries and NGOs can mitigate the risks for their people working remotely or overseas. KH, Inc. - Offers Aviation and Marine fuel procurement and logistic solutions for Military and Government operators including contract fuel management, open market procurement, and payment solutions. KHI is the exclusive contractor of the U.S. Government AIR Card® and SEA Card® programs. THIELMANN WEW is a world leader in containerised fuel and water systems for the military and civil defence markets. Ranging in size from 200L to 50,000L, THIELMANN WEW pressure vessels are approved to transport and store fuel and water across air, land and sea logistics chains worldwide. THIELMANN WEW’s ISO-based solutions are compatible with US and European palletised load-handling systems and can be transported on 6×6, 8×8, 10×10 logistics vehicles. Low-profile solutions for 4×4 vehicles are also available. The THIELMANN WEW advantage lies in the company’s engineering excellence. All our container systems are built to meet specific customer requirements, and can be 100% tailored to meet operational envelopes. In addition to building tanks to the highest standards, THIELMANN WEW specialises in complex pumping and preservation for water supply and refuelling of land and rotary / fixed-wing assets. THIELMANN WEW supports these systems through their entire lifecycle (25 years or more), supporting, repairing and maintaining equipment as needed. In 1962, Western Global was established as a family business in Stoke Gifford, United Kingdom as a tank fitting outfit. From its humble beginnings, Western expanded from the UK into European and North American markets. In 2014, Western acquired the business and assets of TransTank Pty Ltd, bolstering its containerized tank capability and expanding its footprint into Australia and South Africa, making Western a truly global organization. As a leading provider of portable tanks and dispensing equipment for the storage and handling of fuels, lubricants and other fluids, Western Global is able to supply safe, reliable and cost-effective turnkey refuelling solutions globally regardless of the application. As a leading fuel solutions and logistics provider for industries, militaries and governments around the globe, World Fuel Services (A Fortune 100 Company – NYSE INT: 93) delivers integrated fuel solutions to customers in the marine, land, and aviation segments. With expertise in: fuel supply, logistics, operations, technology, and finance, we provide end-to-end support so that our customers can focus on their core business. Additionally, through a careful programme of growth and acquisition we have developed the company to suit particular markets, importantly retaining the local feel within that market and yet bringing the strength and stability of a truly global company. We operate in more than 3,000 airports, 1,200 sea ports and 1,000 fuel stations and depots in 200 countries and territories – with one million barrels of liquid products supplied every day and two million financial transactions processed every year, amounting to a strong balance sheet of $33 billion in 2017. Highly successful in the traditional market space, World Fuel Services are considered the experts when it comes to operating in challenging environments, be that in support of military operations, such as our comprehensive service provision in Afghanistan, or mining and industrial operations in hot and cold inhospitable parts of the world. In the volatile energy market, when fuel quality and surety of supply are key to the success of your business or operations, World Fuel Services is the strong, trusted partner that you need. Naval-technology.com brings you up-to-date international news and features on technology in the defence industry, covering projects, trends, products, services and more in the naval sector. With a team of journalists situated around the world, naval-technology.com, along with sister sites www.army-technology.com and www.airforce-technology.com, is the only business service that focuses on the technologies required by military personnel and companies working in this important space. This is combined with one of the most comprehensive and detailed listings of naval equipment suppliers and their products, free white paper downloads and company press releases, making naval-technology.com the key point of reference for the naval sector. Cargo Connections was formed in the summer of 2014 and offers Restricted Representation, which means membership will only be offered to a limited number of freight forwarders who offer air, sea and road freight services per country. With a cutting-edge website, Cargo Connections offers innovative membership benefits including a useful Smartphone Service. Universal Freight Organisation (UFO) was formed in January 2000 and today the ISO 9001 and ISO 14001 certified association boasts representation in 120+ countries. UFO are proud to have maintained a ‘One Member per Country’ policy (with the exception of USA and China), making them one of the only remaining exclusive freight forwarder networks in the world. Defence-Suppliers provides a unique platform to present your latest equipment and systems to the world's defence and security industry. We are a key information resource for MODs, DODs, decision makers, governments, prime contractors, service chiefs, defence ministers, police forces and system integrators. Delivering a comprehensive breakdown of products and services from leading industry contractors, with up-to-date news and press releases when developments occur. With links to all the major industry events, the portal provides an opportunity for visitors to develop international relationships and generate new business opportunities. Project Cargo Network (PCN) was formed in August 2010, as an organisation dedicated to the world's top project cargo and heavy lift specialists who want to increase their business by either referring one another or doing business directly with one another. The network is now an ISO 9001 and ISO 14001 certified association with over 235 Members located in 105+ countries. EduMaritime is a maritime and logistics education, training, Internship, Career, News & Job resources portal. It provides the most valuable and accurate information and tools in maritime, logistics & supply-chain management, merchant marine, marine engineering, naval architecture, shipping management, ship broking, sailing, and other related areas worldwide including the Americas, Europe, Asia and Australia. MarketAnalisis.com is a publication of Market Research Media. Market Research Media Ltd, a leading market research firm, provides comprehensive market research reports and forecasts to assist governmental and corporate decision makers understand the dynamics of world’s technology markets. Fortune 500 companies, US Congress and EU government bodies rely on our strategic insights. Freightbook is a fast growing online searchable database containing profiles of 1000+ freight forwarders in 140+ countries. Each company can provide comprehensive logistics solutions through their experienced staff who have an in-depth understanding of their local market. To obtain rates and advice on a shipment, please complete our Get A Quote form. Our simple but effective system enables you to obtain advice and pricing from all registered freight agents in the country of origin, thus providing a variety of options.